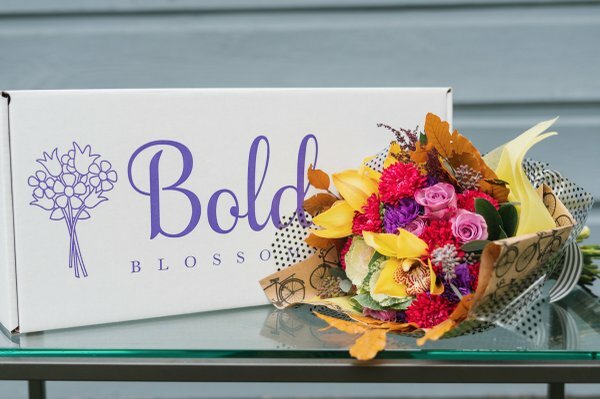 Enter your email address below to receive a notification when Bold Blossoms starts accepting new sign-ups! 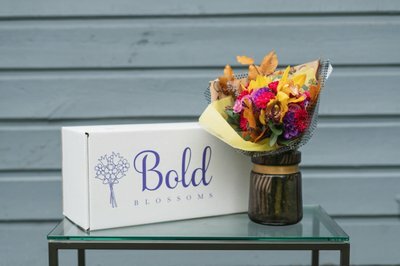 Enter your email address below to receive a notification when Bold Blossoms is accepting new sign-ups again. 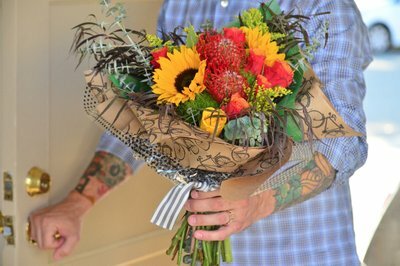 Professionally designed, hand-tied, fresh flower bouquets delivered straight to your door. Moms love flowers! Use code MOMSDAY at checkout for 15% off! 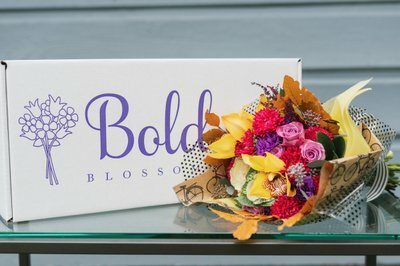 Bold Blossoms boxes will ship on the 3rd Monday of every month. Place your order by the 15th to get the current box! 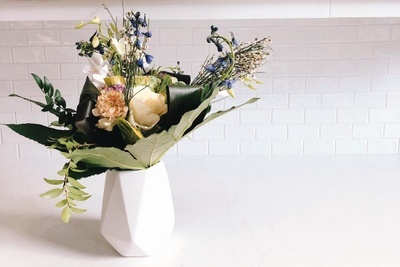 Gorgeous, fresh flower designs delivered monthly. 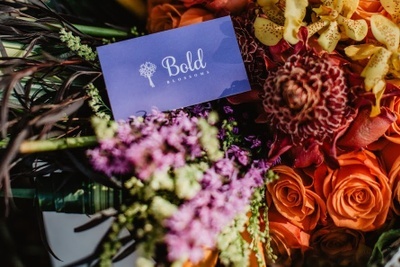 Bold Blossoms is an online flower retailer that ships fresh flowers nationwide. 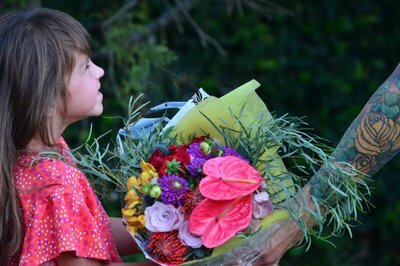 A fresh, gorgeous, expertly designed flower bouquet will be delivered directly to your home or office! 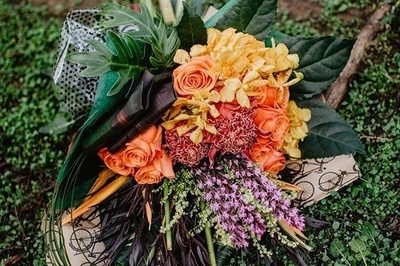 Order one floral design or an entire year! Enjoy your Bold Blossoms! Subscription automatically renews on the 26th of the month. 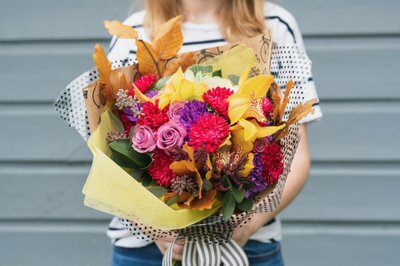 Fresh flowers every month straight to your door. Flat rate $4.99 Shipping to anywhere in the US. This beautiful arrangement arrived a few days ago, and we've been enjoying it ever since. Because it was flowers, I was surprised that they didn’t deliver it to our house. 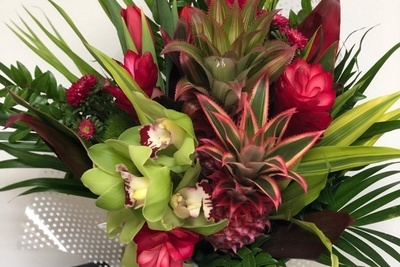 But it did come to our PO Box and was waiting for me when I went to pick up the mail The packaging obviously works - both the sturdiness of the box and the way the flowers are wrapped and secured inside it. The flowers were fresh, and I was happy to see that they did not suffer any apparent bruising; obviously the plastic tie that held it tight in the box did its job well. 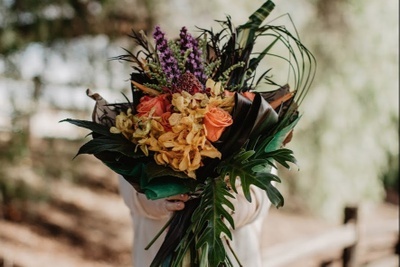 Also, the way the stems were wrapped must have worked well, keeping the flowers moist and nourished during their travels. 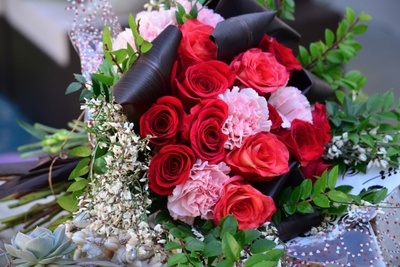 Bottom line: Beautiful arrangement delivered in great shape. Well done! 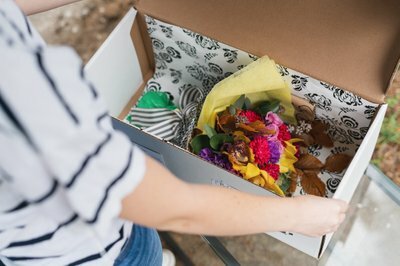 My friend sent me a 3 month flower subscription as a housewarming gift when I bought my new house. How cool that I get flowers delivered not just once but monthly for 3 months. 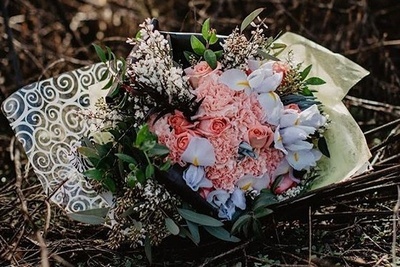 The first thing I noticed was how many flowers were in the bouquet. It didn't feel like what I get at the grocery store. The arrangement was beautiful and full of high end flowers. It felt like it was straight from a florist. I'm going to suggest this to my husband as a gift idea. And probably send a subscription to my mom. Such a great idea! Bold blossoms does it again! 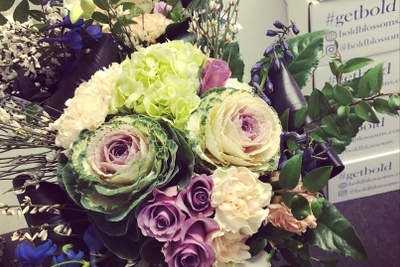 Gorgeous packaging and arrangement! Plus, the flowers are still looking beautiful over a week and a half later! Their flowers are gorgeous, easy to put in the vase and looked like a design with no work involved! I’m so impressed!